Honey Garlic Chicken is a super easy chicken recipe cooked in 15 minutes. Mouthwatering and tender chicken is coated with the most delicious 4-ingredient honey garlic sauce. Sticky, sweet and garlicky, the perfect weeknight chicken meal! 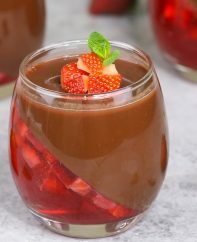 Plus video recipe tutorial! 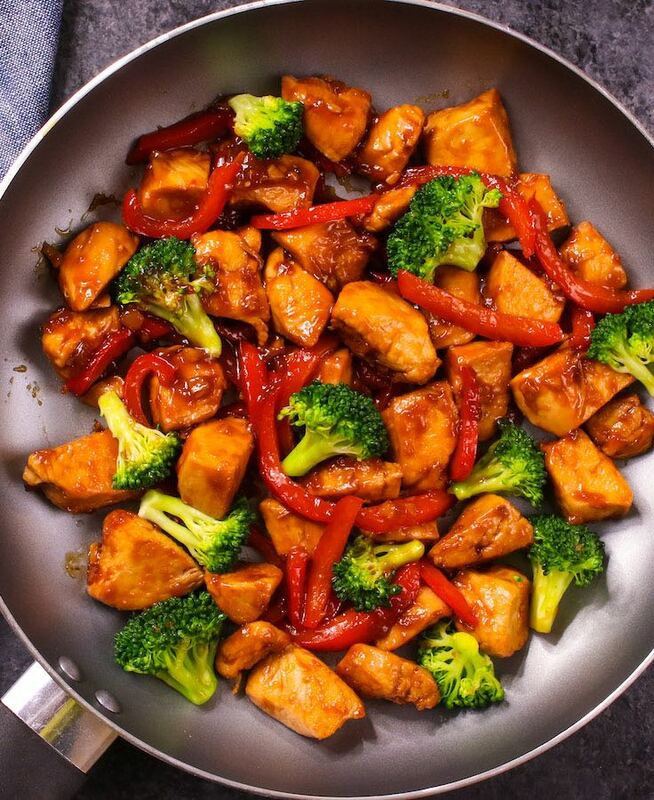 Honey Garlic Chicken is tender and juicy chicken stir-fried in the skillet and then topped with the most amazing honey garlic glaze. Easy. Simple. Fast. Tasty. No marinating, no need to de-bone chicken thighs and no mess. It’s one of the easiest chicken recipes with restaurant quality! This recipe makes a healthy meal for a family when combined with some rice or noodles. 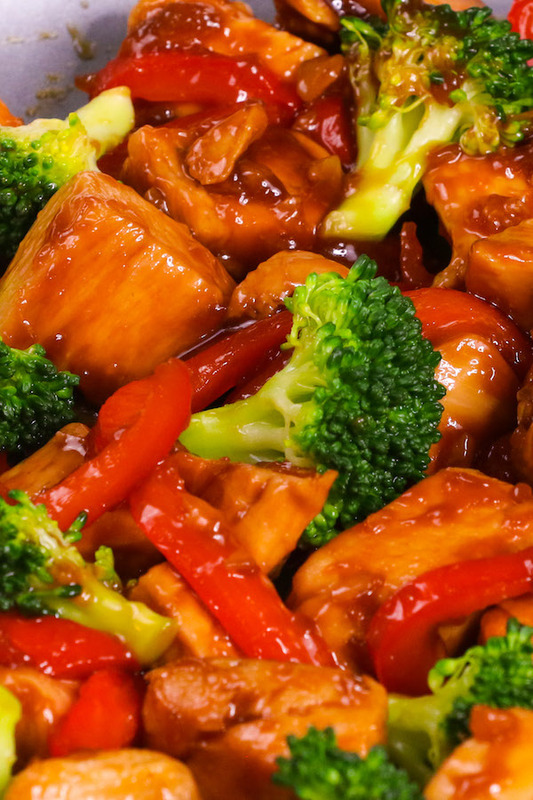 It is one of my favorite stir-fry meals, together with Chicken and Broccoli, Garlic Beef Lo Mein, Sesame Chicken, Mongolian Beef, Chicken Fried Rice and Moo Goo Gai Pan (Mushroom and Chicken Stir Fry). There are many variations, but this honey garlic chicken is the best version which produces the great results with least effort. Plus, Leftovers make an easy and satisfying lunch. Today I will share it with you. 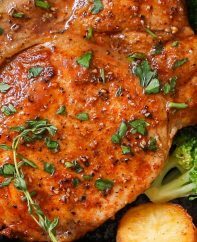 Use chicken thighs for this recipe if you can, as they are moister and have more flavor than chicken breasts. Breasts also work if you like the white meat and I have used them for this recipe. Just make sure not to over-cook them. For this recipe, I cut the chicken into cubes so that they can be cooked fast and evenly. If you choose bone-in chicken thighs, you need to let the chicken cook longer and make sure it’s cooked through (about 5-6 minutes for each side). For oven method, you can find more details here. There is no secret that Honey Garlic Sauce is my favorite sauce. 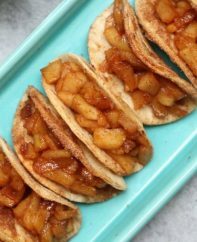 It’s sticky, garlicky, sweet and savory and the flavor is out of this world. It’s so easy and versatile that I have made Honey Garlic Shrimp, Sticky Honey Garlic Chicken, Slow Cooker Honey Garlic Chicken, Instant Pot Honey Garlic Chicken, Baked Honey Garlic Chicken and Honey Garlic Butter Shrimp. It tastes somewhat like Teriyaki Sauce. The basic 4 ingredients are honey, garlic, soy sauce and chicken broth (or water). If you want to thicken the sauce faster, you can add cornstarch and water mixture. I love the sauce so much and sometimes take it to the next level and make honey garlic glaze. All you need to do is to remove the meat and veggie from the skillet and leave the sauce in the pot. Let it simmer until the sauce has thickened. You can drizzle it over everything on your plate. So Good! Now it’s time to get cookin’, good lookin’! Heat up a skillet over medium-high heat and add the oil and then chicken. Spread out the chicken into one layer. Once the pieces start to brown after a few minutes, then turn over and add in the minced garlic. Don’t worry if the chicken is not cooked through yet because there are a few more minutes of cooking time with the veg coming up. Then add vegetables followed by the sauce. Add cornstarch and water mixture, and stir frequently until the sauce has thickened. I love to serve honey garlic chicken with vegetables on rice. Then drizzle with the remaining honey garlic glaze on everything on my plate! You can also use brown rice, potato or noodles. For healthier options, you can serve with quinoa or cauliflower rice. Use chicken thighs for the most delicious tender and juicy honey garlic chicken. Cut chicken into cubes, about 1-2 inches. This will allow for quicker and more even cooking. Before you add your chicken cubes, make sure the oil is hot so that your chicken will get a nice golden sear. The secret to tender and juicy chicken is not to over-crowd your skillet and not to overcook it during the sautéing process. Use a skillet that’s 12-inches or larger. 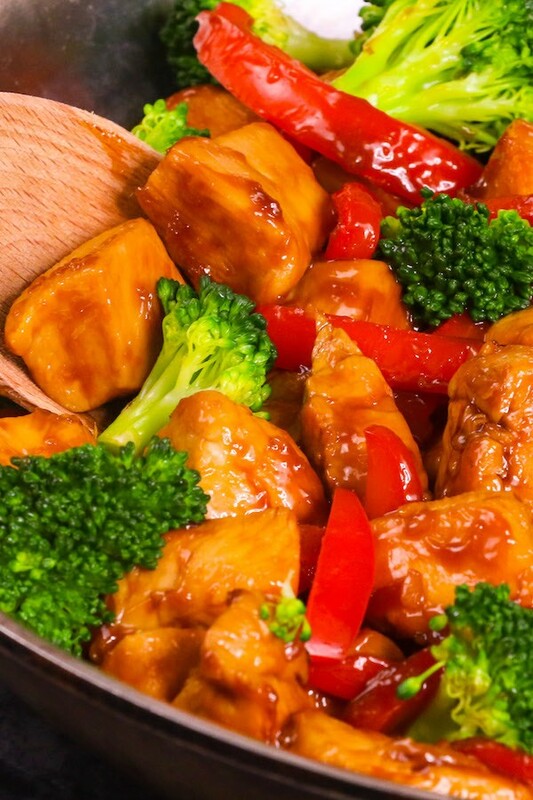 Taste-test your honey garlic sauce before you add it to the skillet. Increasing honey will give a sweeter flavor, while adding more soy sauce will make it more savory. If you want your sauce to thicken faster, add cornstarch and water mixture. It takes about 1 minute for the sauce to be thick enough to coat your chicken. Honey Garlic Shrimp: Shrimp requires much less cook time, about 1-2 minute each side. Remove them from the skillet and then cook your vegetables with the sauce. Add your shrimp back when the sauce is thick enough to coat. Honey Garlic Salmon: Place your salmon skin-side down in the skillet, and cover the lid. Cook about 3-4 minutes. Flip the salmon and add the honey garlic sauce. Cook another 3-4 minutes. Add cornstarch and water mixture to thicken the sauce. Cook your vegetables separately. Honey Garlic Chicken Lo Mein: Following the same steps as the Honey Garlic Chicken recipe, except that you need to add the prepared Lo Mein before adding the honey garlic sauce. Start cooking rice if desired. Place a large skillet on high heat and add in oil. Once hot, add cubed chicken (cut your chicken into 1-2 inch cubes). Once the pieces start to brown after a few minutes, then turn over (the chicken does not need to be cooked through yet). Reduce heat to medium-high and add the garlic and your favorite vegetables. Stir for 3-4 minutes until vegetables are just starting to soften. Stir in the chicken broth, honey and soy sauce, then finally the cornstarch-water mixture. Stir for one more minute until the sauce has thickened and is sticking to the chicken. Serve and enjoy! 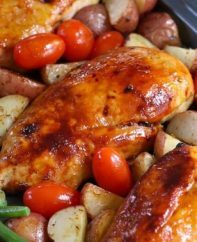 Here is the collection of the most delicious easy chicken recipes that will simplify your weeknight dinner. Teriyaki Chicken (15 Minutes): You can have dinner on the table in no time with this sticky, savory and slightly sweet Teriyaki Chicken, making it perfect for a weeknight meal. So much better than takeout. 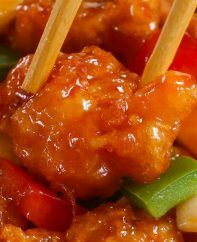 General Tso’s Chicken (20 minutes): This homemade easy chicken recipe is so much better than Chinese takeout. Crispy and tender chicken coated with a sticky tangy sauce, totally addictive. Chicken Pad Thai (20 minutes): A perfect meal for a week day dinner that’s sweet and nutty, balanced with salty and spicy accents. Chicken Lo Mein (20 minutes): This easy Chicken Lo Mein recipe will become one of your go-to recipes for stir-fried noodles. It takes only 20 minutes and you will have a completely balanced meal. Tender and Juicy Chicken with Potatoes and Green Beans (30 minutes): It doesn’t get tastier or healthier than this tender and juicy Chicken with Potatoes and Green Beans. It’s a simple one-pan wonder dish and easy to prepare with quick cleanup. Guaranteed to please! 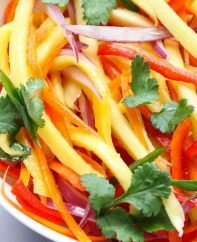 Baked Chicken Fajitas (25 minutes): A quick and easy one pan meal with tender chicken and colorful vegetables packed with the smoky sweet flavor of traditional fajitas. This delicious and healthy meal takes just 5 minutes to prepare and 20 minutes in the oven before dinner is ready. Lemon Chicken (30 minutes): An easy, crispy and delicious dish that’s sweet and savory, balanced with tangy flavor. This Chinese Lemon Chicken is a perfect weeknight meal that comes together in 30 minutes, and it’s so much better than takeout. 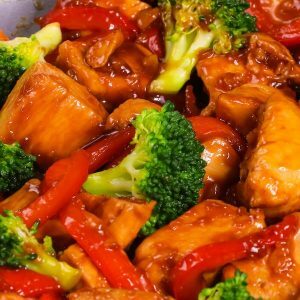 Bourbon Chicken (20 minutes): A copycat of the Chinese mall food classic: tender chicken coated in a tangy, sticky sauce with sweet and savory flavors. 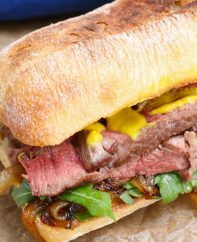 It’s an easy weeknight dinner that’s irresistible down to the last bite! Chicken Alfredo (20 minutes): Easy homemade Chicken Alfredo is just like the simple, yet elegant dish at restaurants. 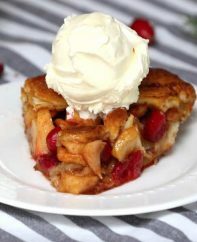 It’s amazing comfort food bursting with creamy flavor. 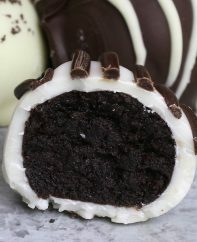 This was a great and easy recipe. I will be making it again. I just made this and all I can say is AMAZING! One of my favorite meals to make! So quick and pretty healthy too 🙂 The flavor is delicious! What a wonderful stir fry! My husband thoroughly enjoyed it, as I did! I definitely will make it again!